This March 31 will mark the 87th birthday of Migrant Farmer and Human Rights advocate the late Cesar Chavez. He along with Dolores Huerta founded what became the United Farm Workers union (UFW) which gives migrant farm workers in the US a voice and seeks to improve working conditions and fair pay. Although conditions are still harsh they were even more harsh prior to Chavez and Huerta forming the UFW union. In those days before the UFW migrant farm workers were little more than America’s slave class. Most of the workers were from Mexico or other Latino nations but some were born and raised in the US and were US citizens. Abuses and low pay were common and if a worker complained about conditions or pay he/she was simply fired and replaced. Entire families worked the farms hand-picking peas and lettuce in the winter, cherries and beans in the spring, corn and grapes in the summer, and cotton in the fall. Chavez knew the work firsthand as he himself worked in the fields with his family in California. Chavez quit school during the 7th grade and served for 2 years in the US Navy. He was an US citizen born in Yuma, Arizona. 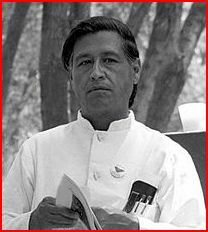 Cesar Chavez Day is celebrated March 31 in California, Colorado, and Texas. Communities in other states also celebrate the day as will Tucson, Arizona this month in commemoration of Chavez. However, the holiday is not a federal holiday even though President Obama declared March 31 as Cesar Chavez Day. Chavez tried to organize Hispanics and get them to vote in local and national elections. He also focused on police brutality against migrant farmers and gave numerous speeches concerning worker’s rights across the country. I heard and met Chavez a couple of times. He was a simple and humble man with true compassion for his fellow-man. He was sincere in his efforts to stop the abuses against migrant farmers and in his work to improve working conditions and fair pay. His was an attempt to liberate migrant farmers from the slavery they endured. He was a true humanitarian. Some people did not like Cesar Chavez. Growing up in a mixed race family I heard many harsh comments expressed against him primarily from the side of the family that was non-Hispanic. Those comments were most often prejudice and some were outright racist comments. Sadly, most of those comments lacked any real understanding at all of what Chavez was trying to do and persons making those comments didn’t even understand the harsh conditions migrant farmers were forced to endure. One non-Hispanic relative was very outspoken about Chavez and even sneered when he appeared on local news programs. This person consistently referred to him as a “Wet Back” and when I tried several times to enlighten them about the fact he was born in Yuma, AZ my explanation was passed off as “so what.” Racism, prejudice, and hatred are horrible things and the ignorance and misinformation that usually surrounds these things is blinding. This relative would catch any opportunity they could to make racist anti-Hispanic comments and usually they were directed towards me with a sneer as the relative knew full well that I was half Hispanic on my mother’s side. I finally came to the conclusion that this relative of mine was absolutely numb and dumb. Trying to educate this person about Chavez and migrant farm worker conditions was a lost cause as this person didn’t want to know the truth nor did they want to understand. They had already made up their mind and, sadly, chose to be racist and hateful based on the lack of facts and misinformation. This person used to really bother me and we had some pretty big arguments at times but eventually I stopped even giving this person the time of day as I knew trying to educate them with facts was worthless. Hate and prejudice had already eaten up their mind and that is normally what hate and prejudice do. When you chose to hate it normally ends up that your hate does more damage to you as a person than to anyone else. I admired Cesar Chavez growing up and for me he was one of the few male Hispanic role models around in those days. His tactic was one much like that employed by Gandhi because Chavez employed non-violent protests, strikes, and boycotts. Passive resistance is something both he and Gandhi understood and used effectively. Although he could be very focused in his speeches he never encouraged migrant farmers to riot or do harm to anyone. He took a stance and he stuck to it. When he took on a cause he pursued it with everything in him. He was dedicated to improving the plight of his fellow-man and in that we can all learn a lot from his life example no matter what our race is. Chavez gave a voice to a people who had no voice prior to his work. Up until that time migrant farmers were America’s new slave race. Many times entire families worked in the fields and for very little money. Some farm owners treated the migrant farmers well while others did not. Some were abusive and there were even instances when some were killed or disappeared never to be seen again. Migrant farmers handpicked crops in often harsh conditions. In summer they worked under the blazing sun and in winter they worked in nearly freezing temps. Almost all of these people were very poor and almost all were exploited in various ways although they were just trying to earn a living. The work hours were long, often from sun rise to sun set. I remember seeing some of them work even in the rain and hot desert sun. To them Chavez was a hero. He gave them a voice and showed them how to stand united and improve their conditions. For that he is to be admired as is any other human being who improves the lot of people. This March 31 I will remember Chavez and what he worked to accomplish. I will also remember him as one of my Hispanics role models which were few in those days. But more than anything I will give thanks for him for giving a voice to a people who had no voice as there is nothing more noble than that no matter what race one is. Court Thinks American Flag is Racist Symbol? Cinco de Mayo, the 5th of May, commemorates the Battle of Puebla in Mexico which took place on 5 May 1862. In that battle Mexican forces defeated a French army of Napoleon III considered to be the most might army in the world at the time. 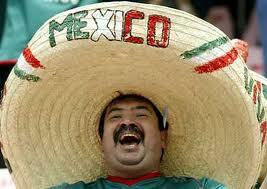 Ironically, the celebration of Cinco de Mayo is bigger in the US than it is in Mexico! In the US the celebration is less about the Mexican military victory over the French and more about celebrating Mexican heritage with muy grande parades and celebrations. Before you get all excited mi amigos I must tell you that a federal court has stepped into the fiesta and they had something to say about it all. I know, you’re thinking WTH? 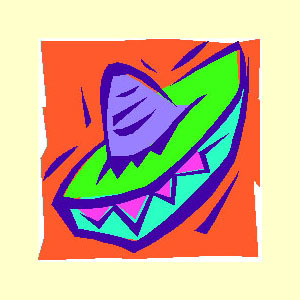 Anyhow you might recall this past Cinco de Mayo there was a controversy involving the celebration at Live Oaks High School in Morgan Hill, California which is a suburb of San Jose. This school has had a history of problems. What school doesn’t? Some students at the school celebration of Cinco de Mayo wore T-shits with American flags on them and school officials ordered them to take them off and turn them inside out in order to avoid potential racial problems. Students sued the school and now the 9th US Circuit Court has ruled that school officials acted appropriately in ordering the students to turn the American flag shirts inside out during Cinco de Mayo celebrations at the school. Racist Arizona Attempts to Strike at Poor People…..again! Ah Arizona……..the “good-ole boy” state is what it ought to be called instead of the Grand Canyon State because this state is as about as backwards as they come. Who can forget its being the last state in the union to recognize the Martin Luther King Holiday and Arizona only recognized it once it discovered that it was going to lose millions in convention events and tourism. Ah yes, that good-ole boy State that was the LAST state in the union to recognize Women’s Rights as well. Yes mi amigos Arizona has many badges of DIS-honor which it proudly wears on its sunken in chest. And who can forget that Arizona is the home of RACISM against Hispanics complete with Sheriff Joe’s regular raids to round up Mexican nationals? Just one more badge of dishonor the state wears, proudly. And now Arizona is attempting to wear yet one more badge of DIS-honor on its sunken in chest and that badge of dishonor is related to ObamaCare. Seems the State of Arizona has been charging POOR people copays for medical services. These people are on Medicaid which is known as AHCCCS in Arizona because for some odd reason Arizona had to have its own indigent medicaid program in order to feel “special” or something. Anyhow, Arizona has been charging some poor people copays under Medicaid and they get away with it because they got a special waiver from the Obama Administration. Hmmmm one more “special.” Why does that word keep popping up? 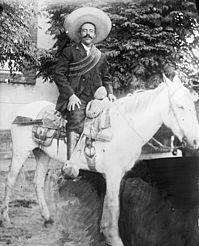 Mexico’s Oil Industry Failing; Where’s Pancho Villa? Back in 1938 the government of Mexico under El Presidente Lazaro Cardenas of the PNR party (National Revolutionary Party) nationalized the Mexican oil industry and since that time big oil companies such as Exxon-Mobile, BP, and Royal Dutch Shell have been prohibited from having any real investment stakes in Mexican oil production. Petroleos Mexicanos simply known as PEMEX runs the show and it is the state-owned oil giant in Mexico. Mexico has a growing problem now when it comes to oil production and investment. The production of crude oil is falling quickly. In 2011 Mexico produced about 3 million barrels per day and that is down from 2008 when Mexico was producing about 3.2 million barrels per day. The reason is due to aging oil fields and underinvestment. Corruption and Mexican American Studies in Arizona. What a JOKE!! In the community where I live the city council is in process of spending $200 million on a modern street car that would run about a mile from the arts district to downtown and back. I find that astounding since city officials have been claiming city government is broke and they’ve been laying off police and fire personnel. So we have $200 million for some pet project but we don’t have $1 to fix the growing number of pot holes on our streets or pay for additional police and fire? I don’t get it. Amazing how there is ALWAYS money for some politicians pet project. And they want to discuss austerity??? I don’t think so. Not until I see them ax their pet projects like this WASTE of a street car that no one is going to ride. Oh, we’ve been there before when we had an old street car that people road for a short while and then they had to ax it. And to top things off most of the arts district and downtown is shut down for the next few weeks or months so they can lay tracks and etc and that has business owners yelling at the top of their lungs. But they yell to no avail as the city council doesn’t care if their business get any business as it is all for their PET PROJECT costing taxpayers $200 million. And further, this modern street car will NOT benefit the community as a whole but a few elite select crowd that hang downtown! One would think the council would do what is best for the ENTIRE community like FIX THE STREETS or pay for more police to keep us safe from the Mexican drug cartels that are now moving in. But I guess not. This is just one more example of absolute government waste and one more example of government having their priorities messed up. It is total waste in this era of “austerity.” I guess the council’s thinking is that everything BUT the pet project must suffer cuts. And that brings me to something else that is on my mind lately. The school system once had a Mexican American Studies program that is now defunct. It became a controversial program and was suspended by the school board after the State Attorney declared the program violated a new state law and after threatening to withhold millions of tax dollars in state funding if the program was not shut down. The claim was that the program was “racist.” This has been going on for awhile now and what has now happened is that it has caused a split in the community between Hispanics and non-Hispanics. Former school board members who put the program into place years ago are outraged that it is suspended and defunct and they point out that all the present school board has done is to divide the community along racial lines. I agree!! At last night’s school board meeting students and supporters of the program set off smoke bombs inside the meeting and tied themselves together as they began to protest the firing of the program director. As I recall when the State Attorney General’s Office ruled against the program the claim was that it was a racist program that promoted racism and taught that Arizona was a part of Mexico and should be again. These charges were denied by MAS teachers at the time. Fact is Arizona was actually a part of New Spain as was most of the American Southwest at one time. Famous Spanish priests and explorers like Marcos de Niz, Father Kino, and Coronado explored Arizona and established Spanish Catholic missions in the 1690s and early 18th century. Spain established fortified towns (called “Presidos”) in the state. In 1821 Mexico gained independence from Spain and what is now Arizona became part of the Territory of Nueva California (also known as Alta California) under the rule of the newly independent Mexico. During the Mexican-American War in 1847 the US marched troops into Mexico City and occupied it and claimed much of Northern Mexico including what is now Arizona. In 1848 the Treaty of Guadalupe Hidalgo was signed and with that treaty the US paid Mexico $15 million dollars to Mexico for Arizona and the Southwest except for the lands south of the Gila River which were still a part of Mexico. That treaty ended the war between the US and Mexico and Mexico ceded Alta California to the US as part of the terms. In 1853 the land below the Gila River was acquired from Mexico through the Gadsden Purchase and Arizona became a part of the US Territory of New Mexico. In 1861 during the US Civil War the southern part of New Mexico seceded from the US and joined the Confederacy. Arizona was also recognized as Confederate territory. In 1863 the western half of New Mexico Territory was declared the Arizona Territory by President Lincoln. Finally in 1912 Arizona became a US State. So, Arizona began as a territory owned by the King of Spain. After Spain granted Mexico independence it began part of Mexico. It then became a US territory and then a State. So the claim by MAS that Arizona once belonged to Mexico is true but it belonged longer to Spain. As for returning it to Mexico I do not support that idea. I don’t wish to live in Mexico under their corrupt regime. In March of this year the controversy over the MAS ended up in federal court. In that hearing both students and teachers claimed that the Arizona statute was unconstitutional. Critics claim that the law is vague and goes over board. Well what law doesn’t in Arizona? They claimed the law violated the 1st Amendment of the Constitution. Arizona’s Attorney General Tom Horne argued it did not. Horne, btw, is the former Educaton Secretary and was so at the time this controversy began. He claimed the law merely prohibited public schools from teaching rcial resentment, ethnic solidarity, and teaching courses aimed at one particular ethnic group. Horne claimed the MAS program was a political course that was one sided and emotionallly charged. He pointed out to complaints about the program from other students and teachers. Horne also claimed that in MAS classes teachers fashioned a “cult like” behavior in Hispanic students and discrimination against non-Hispanic students based on race. Horne held the position that if Hispanic students wanted to learn about their ethnic history then that should be done in the home not in school. Students and teachers in the MAS program said that was not possible as most Hispanic parents don’t know Hispanic history. Horne, at the time, said he wanted to see public schools teach about all ethnicities and teach good American citizenship and individuality. When the federal judge finally ruled he denied the request to bring back the MAS program. So I began this article with a complaint about the city council and their pet project of the street care costing us $200 million and pointing out they can’t fix our streets because they claim they have no money to do so. And I end this article with a report on a now defunct Mexican American Studies Program with government claiming one thing and students/teachers claiming another. And I’m suppose to trust what government says when they lie to us about fixing our streets but dig up $200 million for some stupid street car that will only benefit a select few? I don’t think so. Arizona has always had a problem with ethnic pride and they’ve historically made certain to shut it down ASAP. For instance, Arizona was the last state to adopt the MLK Holiday and that only happened when they discovered tourism and conferences were costing them millions in lost revenue because the state would not recognize the holiday. Had it not been for that discovery I’m sure Arizona still would not be recognizing it! And then we have the now infamous SB1070 targeted at illegal immigrants. Fact of the matter is Arizona is a very prejudice and racist state and always has been! I do NOT believe their claims about the MAS program just as I don’t believe their claims about having no money to fix our streets. It’s time to start exposing Arizona for their corruption and racism. In this 21st century such things simply cannot be tolerated. This isn’t 1912 anymore! Arizona needs to be dragged into this century and their “good ole boy” network put to an end. 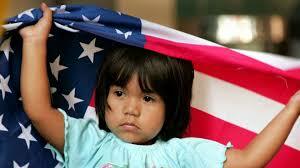 Towards a Better Hispanic Life! One thing I have always wondered about is why the Mexican people do not rise up and install a government that is not full of corruption. It seems like almost every government Mexico has had has been riddled with corruption including the current one. Mexico is a beautiful land with a beautiful and noble people. It’s history is rich going back to the times of the Aztecs and Toltecs. It is a history that should be celebrated and every Mexican citizens along with everyone of Mexican heritage should know and be proud of their Mexican heritage. It surprises me just how many Mexican people do not know the history of their own people! I’ll be presenting some of that history on this blog because I think it important for the Mexican people to know their history and heritage.